Everything is going according to story for CeCi (Cinderella), Bianca (Snow White), and Rory (Sleeping Beauty) -- until the day that Zell (Rapunzel) decides to leave Grimmland and pursue her life. Now, Zell's best friends are left to wonder whether their own passions are worth risking their predetermined “happily ever afters,” regardless of the consequences. CeCi wonders whether she should become a professional chef, sharp-tongued and quick-witted Bianca wants to escape an engagement to her platonic friend, and Rory will do anything to make her boorish husband love her. But as Bianca's wedding approaches, can they escape their fates -- and is there enough wine in all of the Realm to help them? 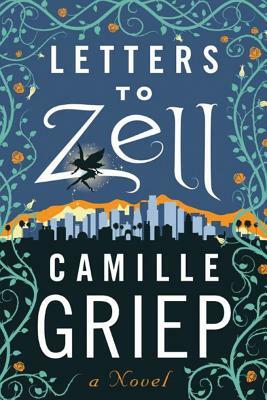 In this hilarious modern interpretation of the fairy-tale stories we all know and love, "Letters to Zell" explores what happens when women abandon the stories they didn't write for themselves and go completely off script to follow their dreams.